Double glazed entrance door with matching side screens provides access to the Reception Hall having access to the loft with ladder and light, airing cupboard, radiator, coved ceiling. 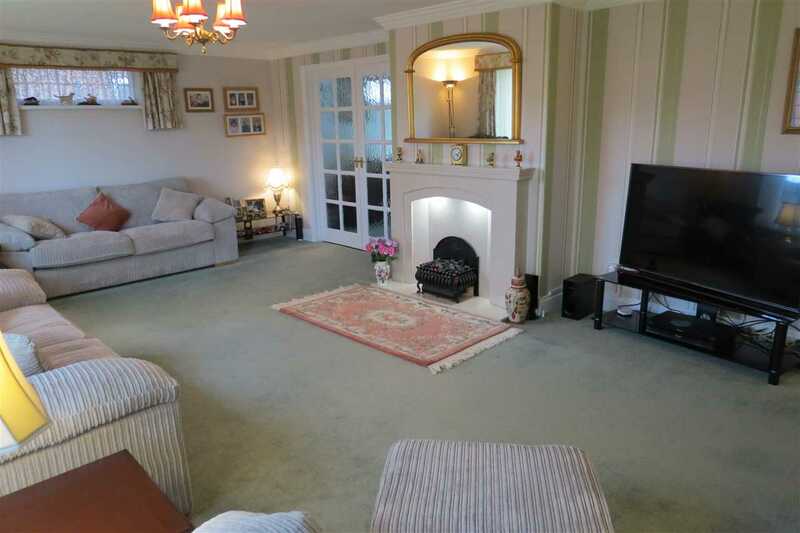 Having further access to the kitchen, double radiator, ceiling cornice and French doors to the rear garden. 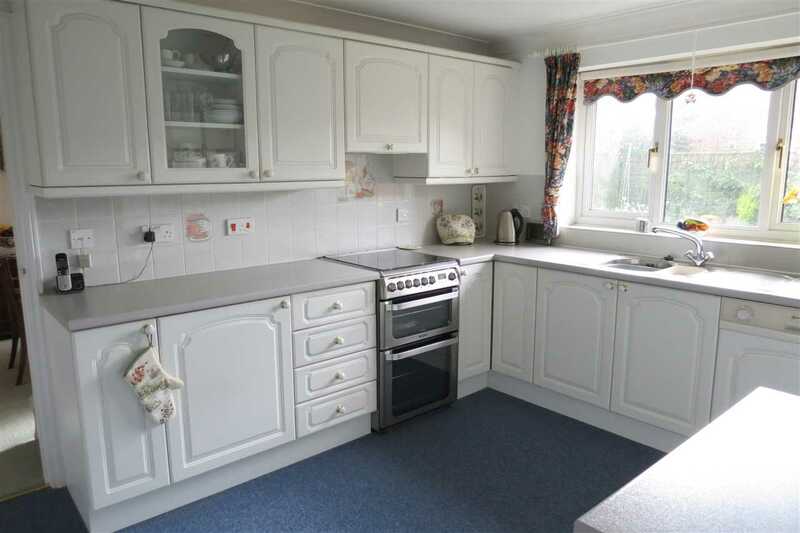 Having range of wall and base units, worktop, tiled splashbacks, free standing cooker with oven and gas hob, cooker hood, built-in fridge and dishwasher, 1£ bowl single drainer sink with monobloc tap, radiator, breakfast bar. 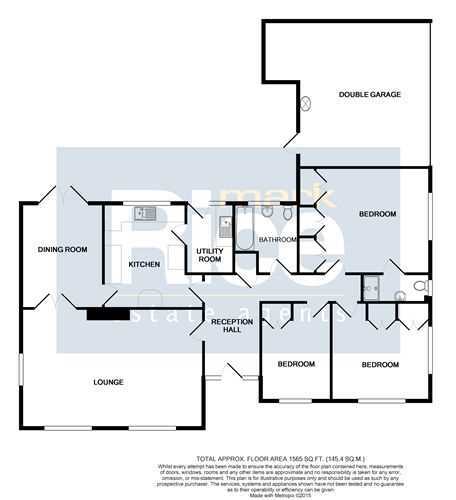 Having wall and base units, worktop, tiled splashbacks, double glazed rear entrance door, inset sink with monobloc tap, plumbing for automatic washing machine, radiator, coved ceiling. 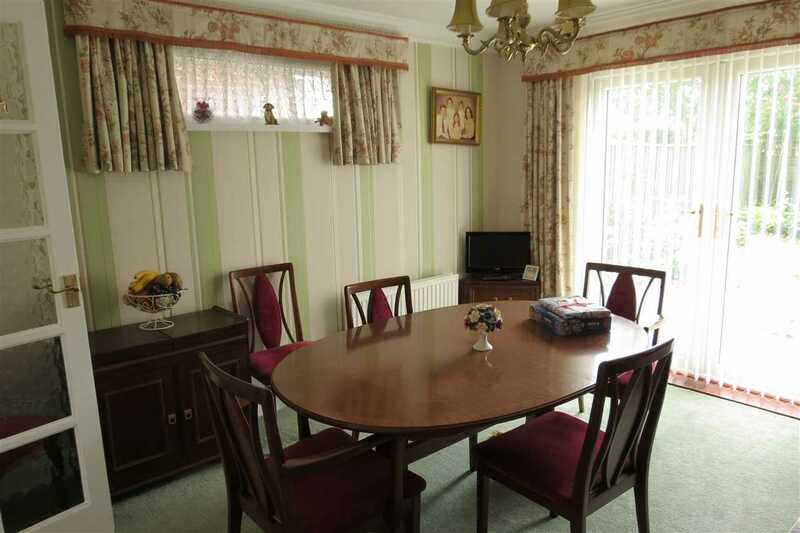 Having double radiator, three built-in wardrobe cupboards, one with shelves, coved ceiling. 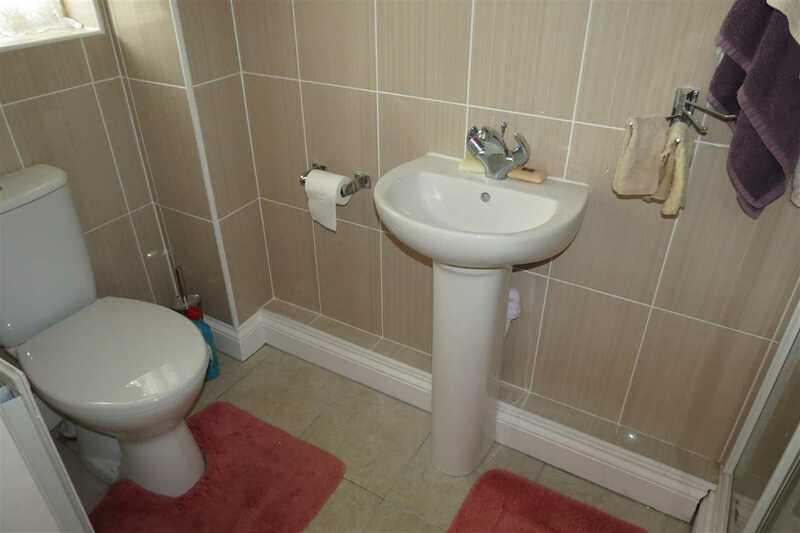 Being fully tiled and having separate mains fed shower, low level w.c, pedestal hand washbasin with mixer tap, radiator, shaver point, tiled floor, extractor fan, coved ceiling. 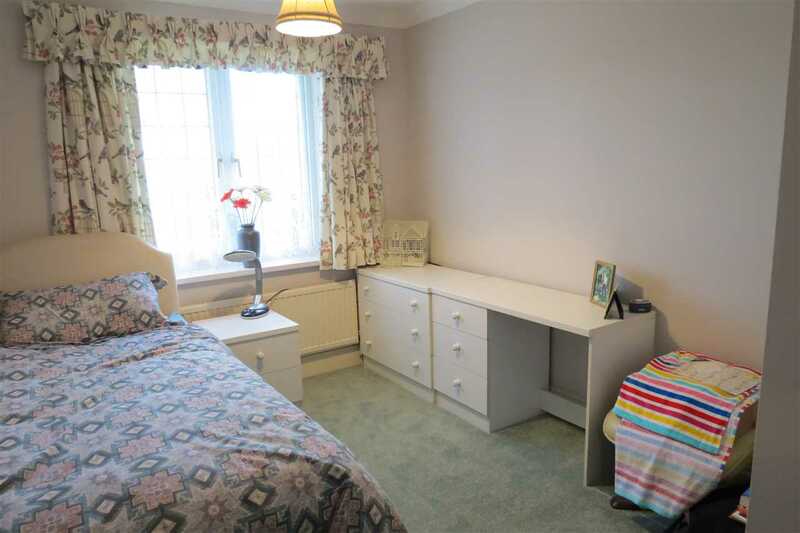 Having two built-in double wardrobes, double radiator, coved ceiling, two windows. 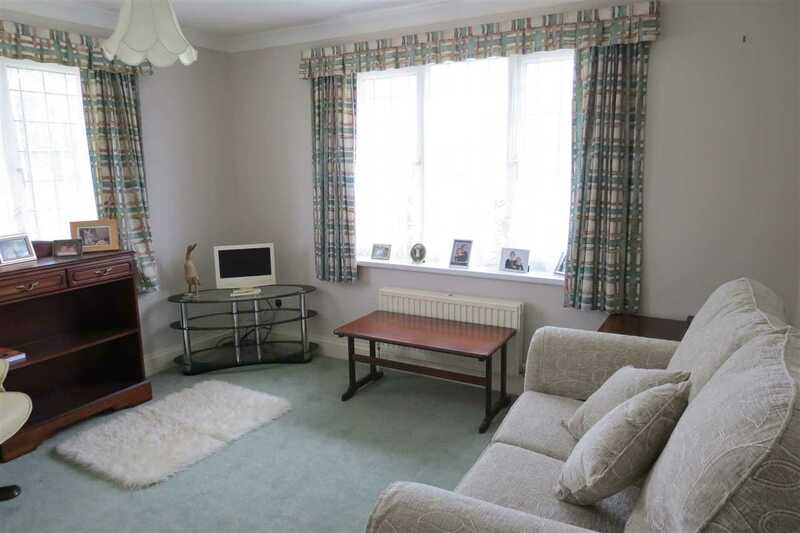 Having built-in double wardrobe, radiator, coved ceiling. Being half tiled and having bath with mixer tap, pedestal hand washbasin with mixer tap, low level w.c, radiator, extractor fan, coved ceiling. 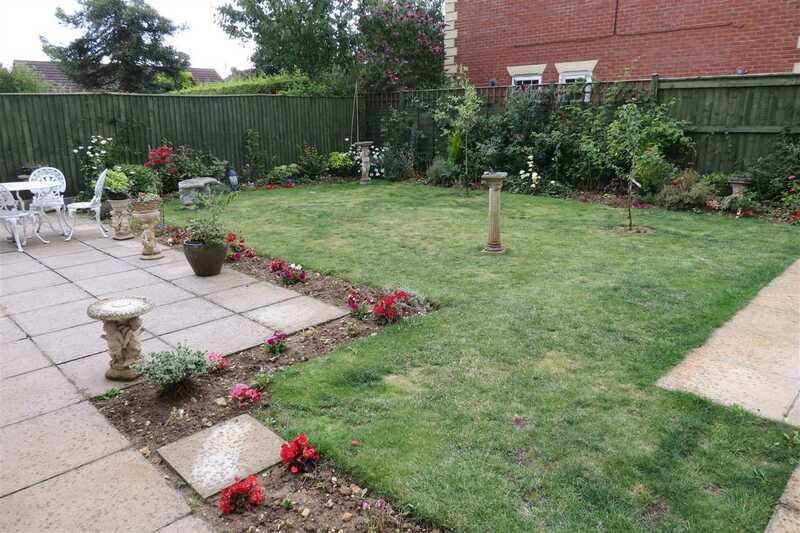 The front and side gardens are laid to lawn with various small borders and a path provides access to the front door and garage. 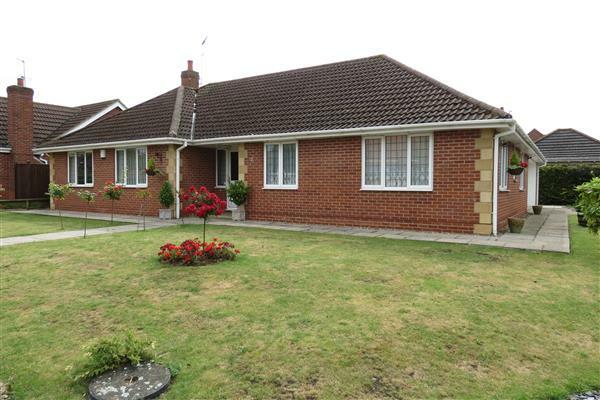 A drive provides Parking and approaches the Integral Garage 5.31m (17'5") x 4.70m (15'5") extending to 5.97m (19'7") max having electric roller door, loft access with ladder, boiler, double glazed door to garden light and power points. To the side of the garage double opening gates provide access to the further paved area which could be used as a patio or parking. The West Facing Rear Gardens are fully enclosed and have a gate to the front garden, large patio area, lawn, well stocked borders and a cold water tap is fitted. 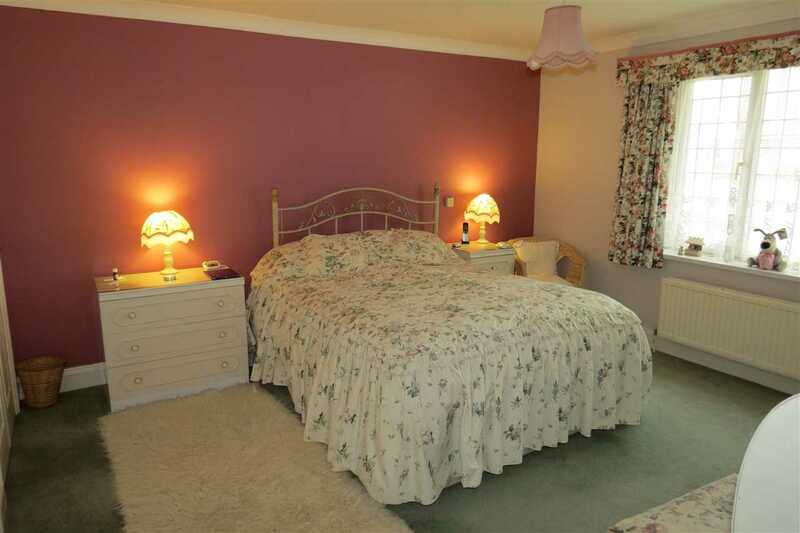 Please note: The Landlord will arrange to maintain the garden via a gardening service contractor during the tenancy.